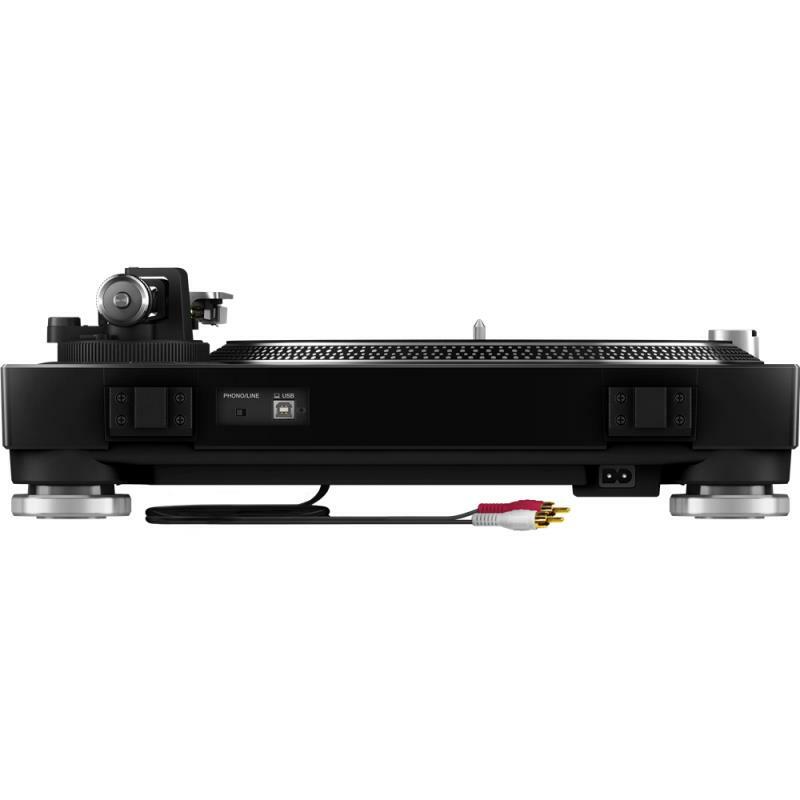 Drawing on their heritage in making high-quality decks, the Pioneer PLX-500 inherits the layout of the PLX-1000 professional turntable and produces warm, clear analogue sound. 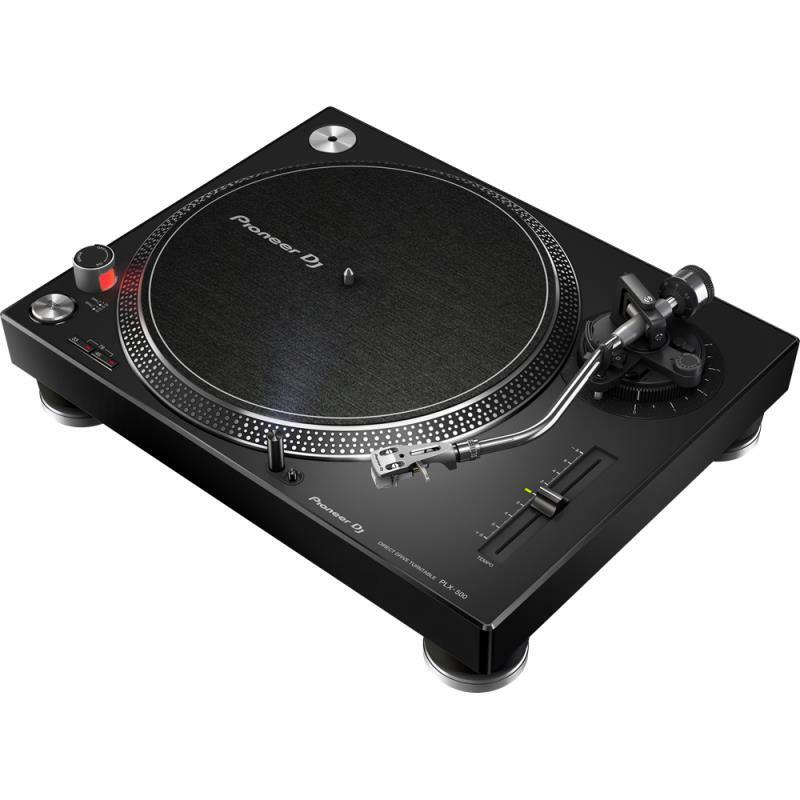 The high-torque deck is ideal for scratching and comes with everything you need including a cartridge, stylus and slipmat, and its USB out means you can easily make high-quality digital recordings of your vinyl collection in Pioneers free rekordbox software. You can use the PLX-500 and the rekordbox dvs Plus Pack to play and scratch digital files when you combine them with a compatible DJM mixer and the RB-VS1-K Control Vinyl. Choose between the black (PLX-500-K) and white (PLX-500-W) versions to match your set-up or the design of your home. -Connect the PLX-500 to your computer with a USB cable. -Open our free rekordbox application (version 4.2.1). -Click the record button in the software and it enters Record Standby mode. -Press play on the PLX-500. rekordbox begins recording when the music starts. -When you’ve finished recording, press stop. A window opens in rekordbox where you can enter information for each track including name and artist. The tracks then appear in your rekordbox collection and you can search for them by name, artist etc. 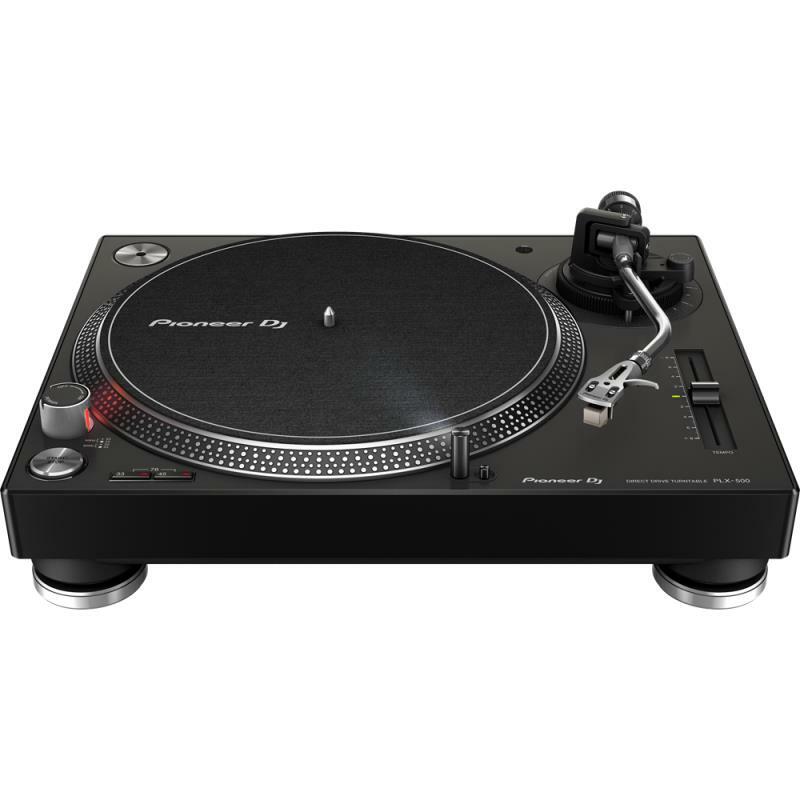 -The high-torque, direct drive PLX-500 is ideal for mixing and scratching on. You can also combine it with the rekordbox dvs Plus Pack to play and perform with your digital files when using a compatible DJM mixer and the RB-VS1-K Control Vinyl (available separately). -You can enjoy the vinyl sound of your records and their artwork at the same time thanks to the dust cover that incorporates a stand for displaying record sleeves when open. -The PLX-500 inherits its slick design from the professional PLX-1000 turntable and you can choose between the black (PLX-500-K) and white (PLX-500-W) versions to match the colour of your gear or the interior of your home.